We are known for our top masonry services in Los Angeles and Pasadena. Since 1992, Boston Brick & Stone, Inc. has built and restored thousands of chimneys, driveways, houses, and historical properties in Pasadena and all around the Greater Los Angeles area. 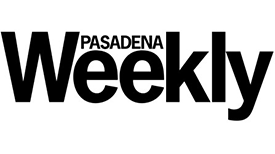 Our commitment to quality is such that we are the preferred company used by the city of Pasadena to restore their historical buildings and our works have been featured on HGTV. Boston Brick & Stone, Inc. is a family owned company, located in Pasadena CA, that specializes in masonry, chimney construction and restoration, hardscape, driveways, and pretty much anything that uses bricks or stones. Since our inception, our experienced Los Angeles masonry contractors have concentrated on quality and customer satisfaction. Today our name is synonymous with excellence and we are well-known for our high standards. A fireplace can add beauty, style, and comfort to a home or patio. When building a fireplace, it is important to find a company that can both design and build your vision while at the same time comply with all safety standards. Learn why we are one of the most prolific and trusted names in masonry repair & restoration in Southern California! Call today. Our customers routinely award us 5-star recommendations on the internet rating sites. 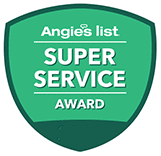 We are heading up to our consecutive Super Service Awards from Angie’s List. Boston Brick & Stone, Inc. is located in the heart of Pasadena, and we serve all communities in Southern California. Our masonry and restoration company can travel nationally when the need for expert chimney technology is required or a need for National Park restoration is required. Want Custom Solutions to Bring the Majesty Back to Your Structure? 2005 Lincoln Avenue Pasadena, CA 91103 Phone: 626.551.4919 Regular Hours: Monday - Friday 7:00am - 5:00pm Service Area: We service Los Angeles and all surrounding areas in Southern California! We're the Best in Los Angeles! Won Super Service from 2009-2017! Boston Brick & Stone, Inc. is often consulted regarding the problems of stone deterioration in historically significant buildings, such as our work in Bryce Canyon National Park and a restoration project involving 56 cabin chimneys at the North Rim of the Grand Canyon. Our expertise is used to offset the damage due to weather and other issues that affect the historical buildings in our national parks. We work to restore the beauty and appeal of these buildings, allowing visitors to enjoy the structures for years to come. Thousands of Projects Renovated Since 1992! Ana M. West Covina, CA I utilized BBS to update my chimney after a remodel. From the moment of my first call, I found the company and most of their employees to be kind, helpful and especially professional.